For years, many businesses and their respective marketers coveted “likes”, “shares”, and “followers” more than everything else. Millions of dollars and countless hours of meetings and planning sessions were devoted to capturing more of these illusive social media trophies. Some have gone so far as taking their eyes off the real measures of success – sales and profits – only to find out that “likes”, “shares”, and “followers” do not necessarily translate into money. Smart marketers have already realized that, and have taken a much more level-headed approach. However, for others the temptation to spend (or earn, depending on what side they are on) is just too much to overcome. Many sharp marketers have learned that the game of “likes” and other social medial ‘clicks’ is not being played honestly. Most marketers have been approached, at some point, with an offer to ‘purchase’ such clicks. In other words, social media clicks are not necessarily a reflection of the quality of the offering or popularity, but rather, they could be a function of how much was paid to professional ‘clickers’. 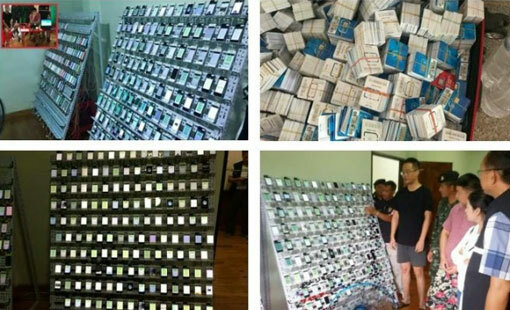 Recently, ‘click farms’ were in the news. Click farms used to be ‘sweatshops’ of sorts (mostly in developing countries), in which low-paid employees were clicking away on keyboards to boost “likes”, “shares”, and “follows” to boost their clients’ status on social media. As of late, these click farms became more automated and clicks are now done by bots in the form of massive sets of mobile devices and large numbers of sim cards. 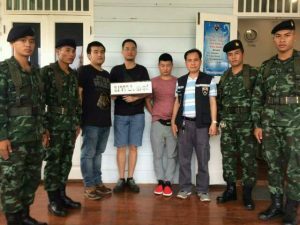 A case in point is a story out of Thailand where local authorities made arrests in such a click farm that used over 500 mobile phones and over 350,000 sim cards to generate ‘fake clicks’ for their international clients. Social media is very important for most organizations’ marketing success. Knowing what social media is most useful for your organization is very important. Knowing what to do to improve your status within social media and how to leverage it to further your organization’s goals requires knowledge and expertise. If you need help with marketing or would like to ask us a question, call us at 888-412-2236, or click on the button below. “Anyone can market, it’s doing it effectively that matters. Hiring Fractional CMO jumpstarted our marketing plan; taking us from “would-a, should-a, could-a” to getting it done! Lose the Sales Hype: If a person has subscribed to your newsletter, they are most likely already sold on your product or service. 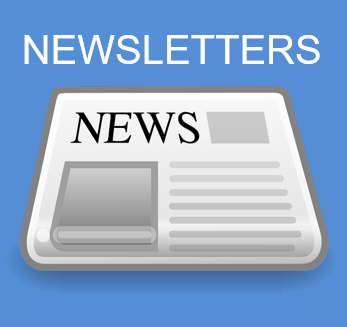 Employ your newsletter as an informational tool to share knowledge. Design for Three Types of Readers: A company executive has just enough time to skim a newsletter while a sales representative, for example, might have time to read more in-depth to gather information for their job. Organize information for three distinct types of readers: (1) short for those with little time to read; (2) medium for those who want a little more; and (3) long for those who are looking for in-depth understanding. Use bolding, underlines, colors or other formatting to make it easy to find the information they need. Craft Stimulating Content: Begin by using words in your subject line that will entice the reader to click on your email right this instant! Then extend it to the body of the newsletter itself, using language that is friendly and inviting, not formal or full of jargon. Enhance Your Brand: Design your newsletter to be like your business card, brochure, and website, by using the same colors and fonts. These visual details and structure of your newsletter will create a more comfortable and familiar way to consume content. Make Unsubscribing Simple: A person unsubscribing from your newsletter is nothing to be taken personally. However, the harder you make it for someone to unsubscribe, the easier it allows them to click that “report as spam” button, which will send your newsletter to spam boxes, causing your delivery, open, and click-through rates to plummet. Conversion rate is he percentage of members of a certain group who take a desired action. An example would be the percentage of recipients of a newsletter who requested more information. It is important to mention that conversion rate refers to any action you define as the desired action. This distinction is important because, in some circles, conversion rates erroneously refers only to those who make a purchase decision.